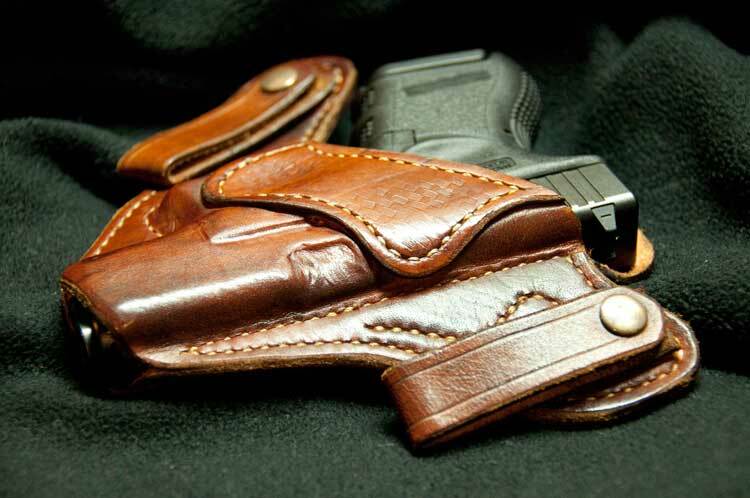 Whether you take your gun off (holster and all) every night, rarely carry concealed or practice regularly with your daily carry gun, at some point, you will have to deal with some maintenance issues. Think your gun won’t get linty or dusty because it’s tightly wrapped in a form-fitting holster? Think again. Whether you carry every day or once a month, I recommend examining your gun at the end of every day or two of carry. Blow or wipe off the external lint, and then, every week or so of carry, field-strip the gun. You’ll see that lint has gotten everywhere. Because it’s not “dirty,” you won’t need to clean it. Just wipe it down, put it back together, load it back up, and you’ll be good to go. There isn’t a handgun on the planet that doesn’t run better when it’s well lubed but keeping your carry piece lubed up can be surprisingly problematic. Lubing your gun will cause dust and lint to stick to all of its cracks and crevices. There’s no way to prevent this, so just be aware of it. However, to some extent, the type of lube you can use depends on your firearm. You can either use thick lube or light oil. Let’s talk holster wear first. Holster wear does not affect accuracy or reliability, but it does affect appearance. Kydex/polymer holsters causing wear to the front edge of slides, for instance, or the front edges of trigger guards. Leather holsters, on the other hand, grab guns like gloves and if you carry your gun in a hot climate, at some point, your gun will start to rust. I recommend wiping down your carry gun every day and giving it a fresh coat of oil. This should keep the rust at bay. All shooters who carry should practice shooting their carry gun. The more times a cartridge gets cycled in and out of a magazine or chamber, the greater the chance it will get damaged. The next time you take your carry gun to the range to practice, carefully inspect your carry ammo for dings, scratches and bullets set back into the case. Discard any rounds that are damaged. Hopefully, you’re still not carrying around the same cartridges you stuffed into the gun when you began carrying it in 1989. Ammo, when stored in dry, cool, steady conditions can last a lifetime. Ammo in a carry gun subjected to different humidities and temperatures, not to mention body heat and sweat, has a much shorter lifespan.